How To Enjoy Them! Enhance your everyday dishes! 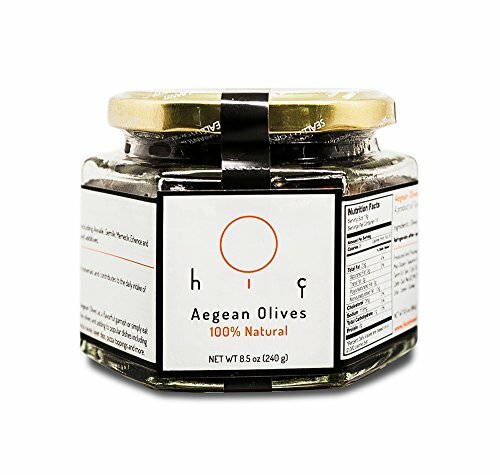 Serve Hiç Aegean Olives as a flavorful garnish. We also recommend depitting the olives and adding to popular dishes including tapenades, bruschettas, lasagnas, salads, puttanesca sauce, layer dips, pizza toppings and more. Aegean Black Olives - A variety of local cultivars including Ayvilik, Gemlik, Memecik and Wild olives. Manufacturer: May Dizayn Tasarim Ins. Publisher: May Dizayn Tasarim Ins. Studio: May Dizayn Tasarim Ins. If you have any questions about this product by Hiç, contact us by completing and submitting the form below. If you are looking for a specif part number, please include it with your message.